Giro's Rivet II Glove is a minimal full-finger glove for that offers optimal ventilation, enhanced control, and a comfortable bar feel. The palm is made of micro-vented Pittards Leather while the upper features super breathable stretch mesh for an exceptional fit. 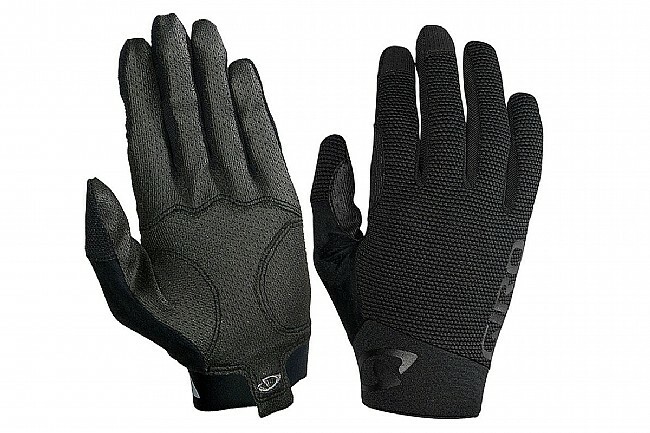 Giro's Super Fit Engineering carefully tailors the glove's palm, fingers, and padding to match the shape and size of the hand, thereby reducing bunching and discomfort while enhancing grip, bar feel, and cushion. Moisture-Wicking 4-Way Stretch Breathable Mesh. Super Fit™ Engineered Three-Panel Design. These gloves run a little small in sizing compared to other brands. I bought these in the size medium based on the sizing chart and compared to what size I wear in Fox and thy are a tight fit. Very poor quality. I bought these on a daily special. they were not worth the money I spent on them. After one commute to work (45 min) they became unstitched. Do not waste any amount of money on these.